The RM Auction was arguably the biggest auction of the weekend. Taking place on Friday and Saturday night (until after midnight! ), it drew thousands of people to a tight downtown block of Monterey. The star of the show was a 1959 Ferrari 412S that sold for over $5.6 million. I was also there to see a 1994 McLaren F1 (sold for $1.5 million). I was surprised to see a BMW 2002tii on the block and even more surprised to see it sell for $18,700. In addition to the cars, there were several celebrities in attendance. Alain De Cadenet was shooting an auction special for ESPN2. 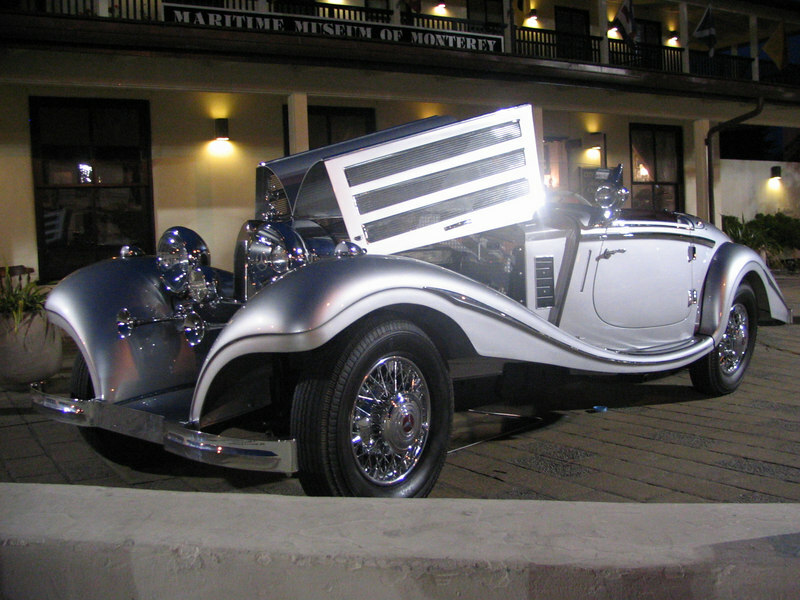 Inside, I saw Jay Leno in the front row, sitting beside his Duesenberg expert Randy Ema. I also ran into Jean Todt, manager of Ferrari's road car production and the Ferrari Formula One team.